The book of Job is considered by many to be the crown jewel of biblical literature in its claim to speak about God. The word that defines the challenge for every reader of the book is “struggle.” The struggle results from the fact that whatever Job’s truth may be, he was neither the first nor the last to try to articulate it. In the midst of so many words in this world about God from writers within and outside the scriptural witness, this book offers a truly astonishing declaration about what it means to live in a world where order breaks down and chaos runs amok, where the innocent suffer and the wicked thrive, where cries for help go unanswered. 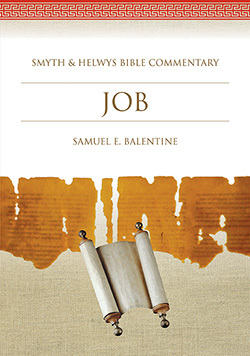 This new commentary by biblical scholar Samuel Balentine leads readers on an in-depth and far-reaching look at the nature of the book of Job and the various attempts by the many who have sought to further explore Job's essential struggle. Samuel Balentine is a highly regarded scholar who served on the faculty of Baptist Theological Seminary at Richmond for 10 years. Balentine joined the Union-PSCE faculty in September 2004. 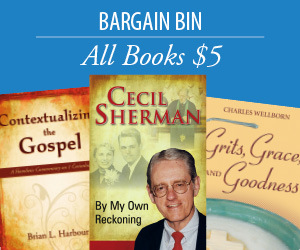 He is the author of four books, has edited or co-edited numerous books and scholarly journals, and has written nearly three dozen articles for significant journals in biblical studies. Prior to joining the faculty of Baptist Theological Seminary at Richmond, Balentine served as a professor at Southeastern Baptist Theological Seminary and Midwestern Baptist Theological Seminary. Along with authoring the volume on Job, Balentine is General Editor of the Smyth & Helwys Bible Commentary series, co-editor of Interpretation, and a member of the editorial board for The New Interpreters Dictionary of the Bible.